If you think you’re stuck with beige, wooden or white for your kitchen colours, think again, because with a hand painted kitchen you have a multitude of colours to choose from. Here at Thatcham Kitchens, we are proud to showcase Mereway Kitchens in our showroom in Berkshire. Mereway Kitchens are built using high quality materials, perfect craftsmanship and traditional carpentry skills. Perhaps more importantly, Mereway Kitchens are hand painted. This means that they have a fine quality finish, along with a beautiful range of colours to offer for your new kitchen. You can have the latest kitchen colour trend, or have your kitchen painted in your all time favourite colour with our handpainted kitchens. From prosecco to cobalt blue and plum to dark sage, we can help you choose a kitchen that’s the talk of the town. 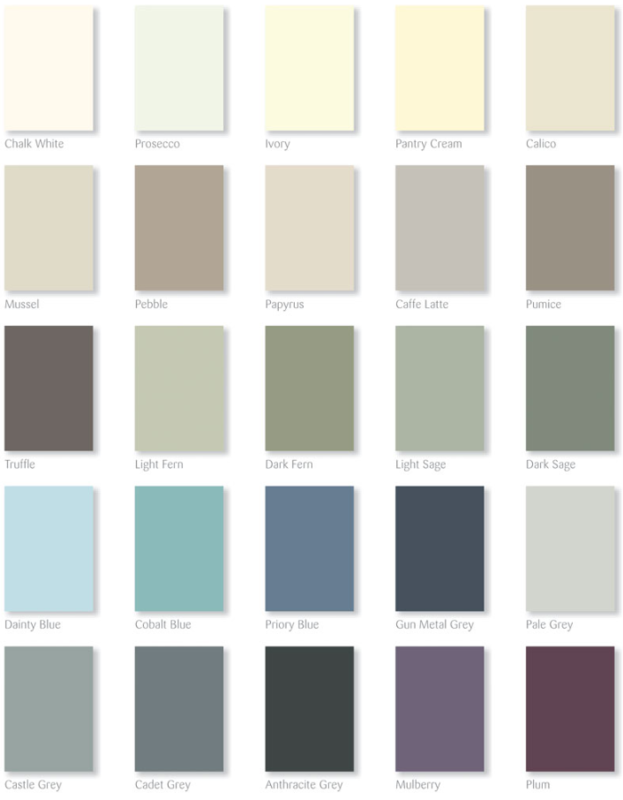 You can select from 25 kitchen colours (below). Mereway Kitchen’s Signature Range kitchens have a familiar yet distinct look about them. Doors and frames can be painted in any one of 12 selected colours and then combined with cabinets, matching or in contrast with the rest of the room. You can see our pallette of 12 door and frame colours below. As well as choosing your colours, you can make your kitchen completely bespoke by choosing your own handles, hinges and appliances. We can fill quirky spaces to fit exactly so you don’t waste any valuable kitchen space. 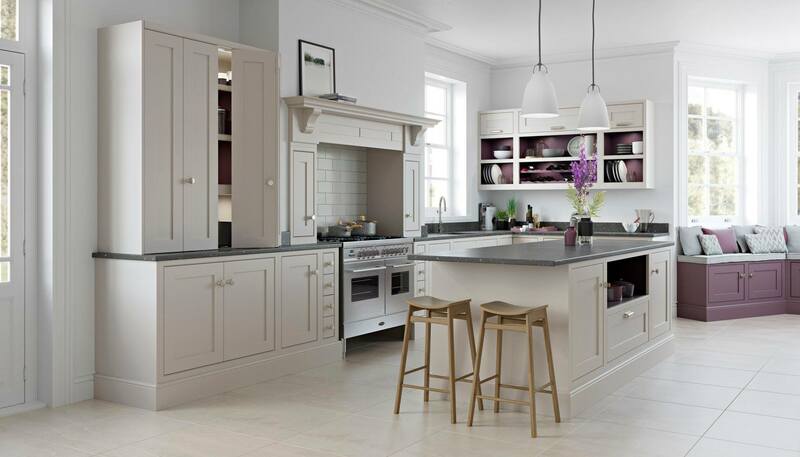 Any Signature Range kitchen has hand painted doors in a flat matt finish, sitting within a contemporary shaker style frame so you’ll end up with a kitchen that shows quality British Craftsmanship at its very best. Every door is hand made and sanded numerous times to ensure the perfect finish, ready for the first paint application. It is then left to cure for several days, sanded again and then another coat is applied. This process can be repeated many times to the ensure the highest standard of finish. At Thatcham Kitchens, we are experts in kitchen design and Bosch appliances. With our years of experience, knowledge and creative flair, we can help you realise your ideal hand painted kitchen, where you can spend hours enjoying cooking, entertaining and relaxing. Come and visit our kitchen showroom in Berkshire and speak to our friendly team who can show you lots of hand painted kitchen examples and inspiration. Having a larder is the latest statement piece for your hand painted kitchen – we have recently had one installed at our showroom (similar to larder featured in the image above).